Sebastien Azra was born in Montreal, QC, Canada in 1973 and raised in Southern California where he pursued his passion for hockey by playing in local youth travel organizations. Sebastien left the state to play Juniors in Great Falls, Montana. Following his time in Juniors, Sebastien briefly played semi-professional hockey in the former Pacific Coast Hockey League. After taking an interest in coaching, he decided to change paths and pursue it as a full time career. Sebastien has now completed his 22nd year of professional youth coaching and skills instructing. Sebastien has coached every age level, from Mites to Midget 18U and every letter level from B to AA. He has coached, founded, and been a board member of several youth hockey organizations all over Southern California. He has also been a guest speaker at several coaching seminars throughout his years. "I believe that coaching is a lot more than drawing drills on a board or teaching the X's and O's of hockey. I believe that in order to bring out a player's fullest potential, a coach must emotionally connect with his players and understand each of their personalities and adjust accordingly to all of them as they will all be different." Chris Duncan has been a coach at Ice Station Valencia for the past 17 years. He started in the in-house programs coaching Peewee and Midget levels, putting tournament teams together so in-house kids could get a taste of travel hockey. For the past nine years, he has been coaching 18A and 18AA at the Ice Station, both as a head coach and as an assistant. He coached the Canyon High School hockey team for the first 15 years of the league, and he has seen many players move on into junior programs and college hockey. His goal is to help kids develop into young adults, enjoying success as well as dealing with adversity, while giving them the tools to move forward with their hockey goals. Justin Dyke has been involved with hockey at Ice Station Valencia since its inaugural season in 2000, and he has been a part of the Valencia Express/ Flyers coaching staff since 2003. He spent three seasons as Assistant Coach for the Junior A team, four seasons as Head Coach of the 18AA team, two seasons as Head Coach of the Mites, and one season as Co-Head Coach of the Peewee AA team. He is currently serving as the WSHL Flyers Junior A Head Coach. Justin has been involved with youth hockey in SoCal since 1989 and strives to give back to the game that has given him so much. Nick Gallo has been working as the ADM coordinator for Anaheim Ducks Rink programs. He is a USA Hockey Level 4 certified coach and has been coaching various levels for the past 5 years (Mini-Mite to Midgets). He has been a youth hockey coach since 2013, has developed practice plans and led clinics levels Mini-Mite through Midget Select. Served as Head Coach for Mini-Mite, Mite, Peewee (2x), Bantam, and Midget Select teams. He has also coached Learn To Play Adult and Youth classes, Try Hockey for Free classes, and Hockey Initiation classes. He was the 2019 Los Alamitos High School Assistant Coach ADHSL and 2016 Jr. Ducks Mite track Assistant Coach. 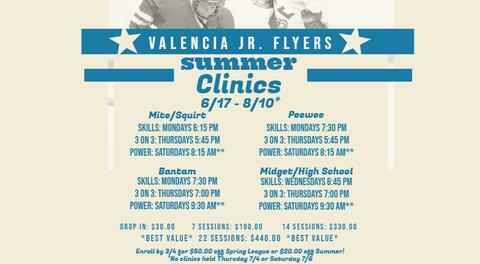 "The upcoming season will be my 4th as a coach for the Valencia Jr. Flyers. I have played competitive sports including hockey for a very long time and having the opportunity to pass on what I've learned along the way yo the next generation of players is very rewarding. Pavel Sisak was born and raised in Slovakia and has competed at the International Level alongside current NHL players. Pavel worked with young hockey players on an individual and team basis in Slovakia before coming to the United States. He has been coaching for the last 10 years in Southern California, where he has built a winning youth hockey program that advances players to the next level. Pavel has guided his AA Riptide teams to appearances at three straight USA Hockey National Championships. 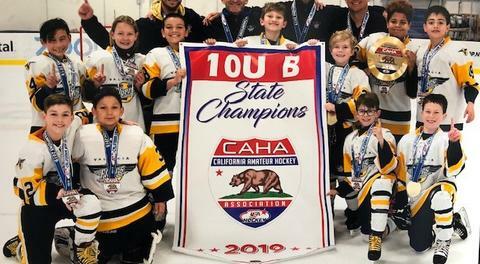 The last two seasons, he has been coaching for the Valencia Jr. Flyers Hockey Club and last year, as Head Coach, took his 16AA team to the CAHA State Championship game where they earned second place. Attended Charles University in Prague majoring in Sports Science and Physical Therapy where he earned several certificates. Rob was born in a suburb of Edmonton Alberta, Canada in a town called Vegreville. There he pursued his playing career as a goalie for the local Junior B team and then moved on to play Junior A in Saskatchewan. After his playing time in juniors, Rob attended a few professional tryouts and camps but decided to change paths and get involved in goalie coaching and training back in his home town. In 2007, Rob moved down to Southern California and began working at the Ice Station in Valencia, CA as a professional staff instructor and the Valencia Flyers club goalie coach. During his time in Valencia, Rob has trained dozens of goalies from mites to adults. He has trained and developed many goalies who have played elite AAA, prep school, juniors and college. Many of his goalies have been fortunate enough to have a lot of success in their youth careers by winning league titles in SCAHA, CAHA, and even a National championship. Rob’s greatest joy in coaching is being able to share his passion for hockey with kids and watching them grow and develop into great athletes and people.